For touch ups throughout the night, the easiest thing to carry is a pressed powder. You can pop it in your bag and don't need to bring a brush! However, it's hard to find a vegan compact powder that has a mirror and a sponge to apply with these days. I used to love my old MAC ones for this purpose. Well don't fret, because GOSH do them and they are awesome. This might be a silly one to mention because personally I do not feel like my makeup is done until I'm shining like a disco ball. But I go even more crazy with it for party makeup. 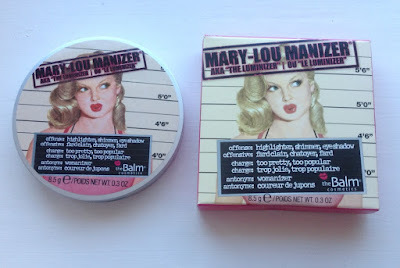 My faves are the Mary-Lou Manizer by theBalm, Becca's Shimmering Skin Perfector, Pressed in Moonstone and for a more purse-friendly option, the Revolution Highlighters are amazing. Collection glitter liners (Glam Crystals) are amazing and you need them. Probably all of them. But if not then at least a gold and a silver one. They are a lovely pigmented liner - opaque in pretty much one coat! They're great for the inner corner too or if you want all over lid sparkle, they're great for that and a lot less messy than loose glitter! Superdrug make some fab false lashes; from the super dramatic ones, to much more natural ones, just to give you a flirty look. I also love Kiss Lashes. The natural lashes are one of my favourite for brides and these Trio lashes are fab too and really easy to apply. I use duo glue to apply my lashes, as the stuff you get with them is never much cop. For party makeup, I would probably go with a liquid lipstick as you just can't beat the staying power and now there is SO much choice. My favourite are the Kat Von D Everlasting Liquid Lipsticks. The formula and applicator are just brilliant and it really does stay on a long time. Only downside is you have to ship them over from Sephora US; however they ship pretty quick and without customs fees this side! Win. I also love the Jeffree Star ones; the formula is great, there are some beautiful colours and they last. Only downside for me is the applicator - not my favourite, great for filling in but not so much for perfecting the shape and I tend to have to use a lip brush as well. For a more budget friendly option, check out MUA and Sleek's offerings! What are your Festive party essentials? Labels: Beauty Posts, Christmas Party Makeup, Party Makeup.